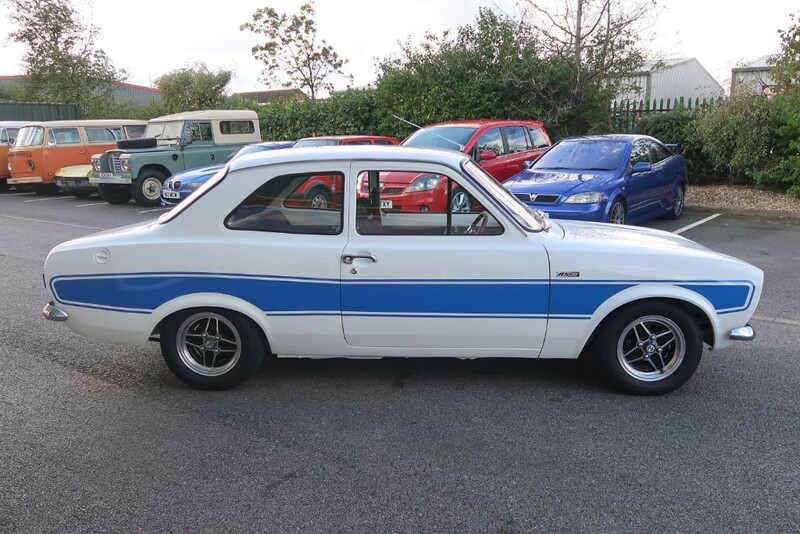 According to the AVO build plate this is a UK supplied RS2000 built in May 1974. 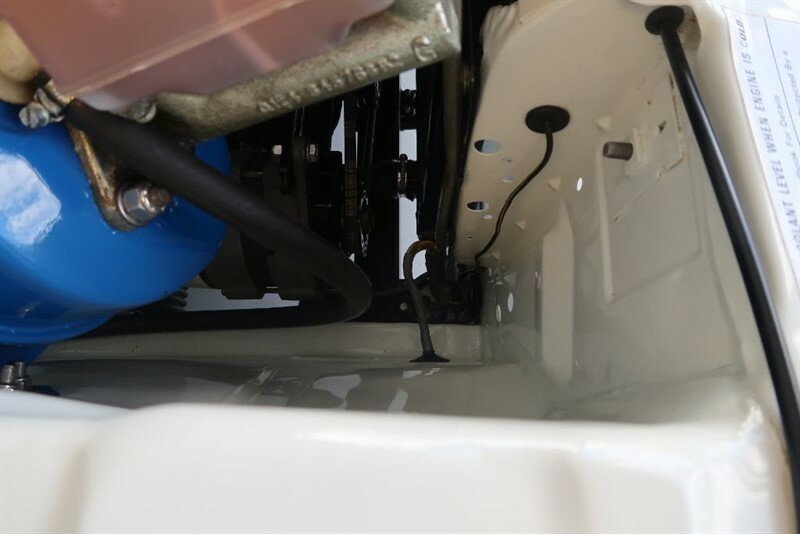 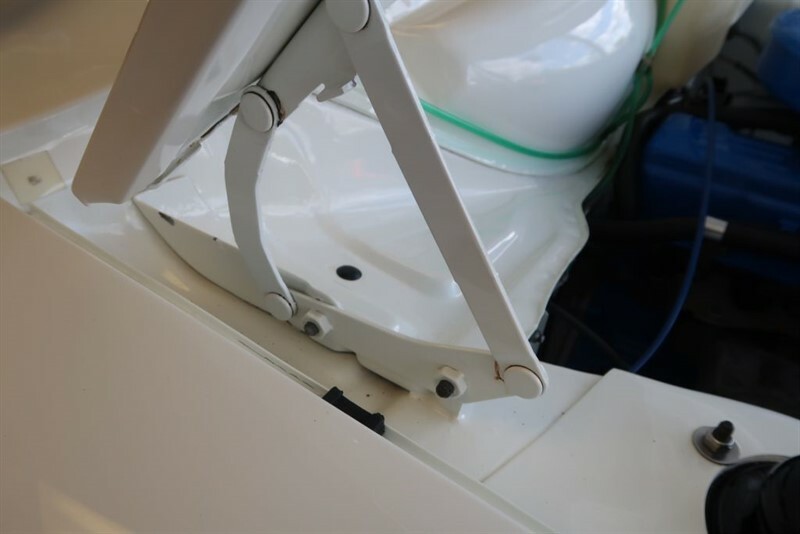 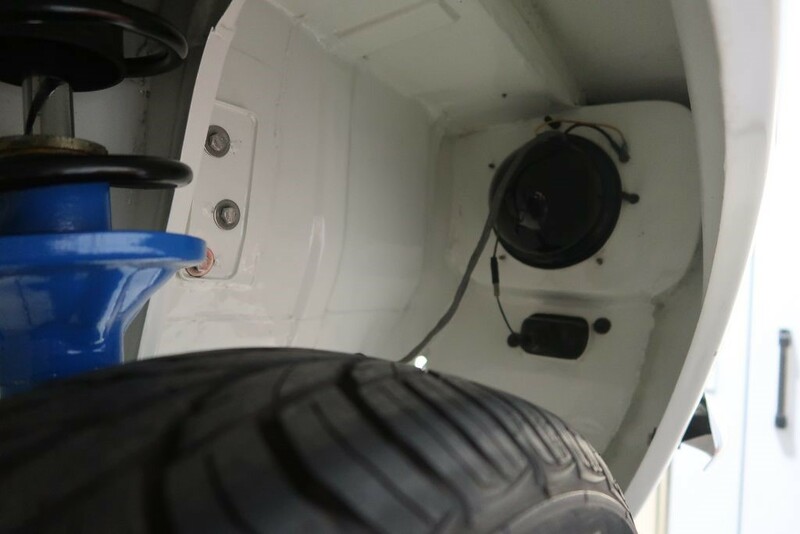 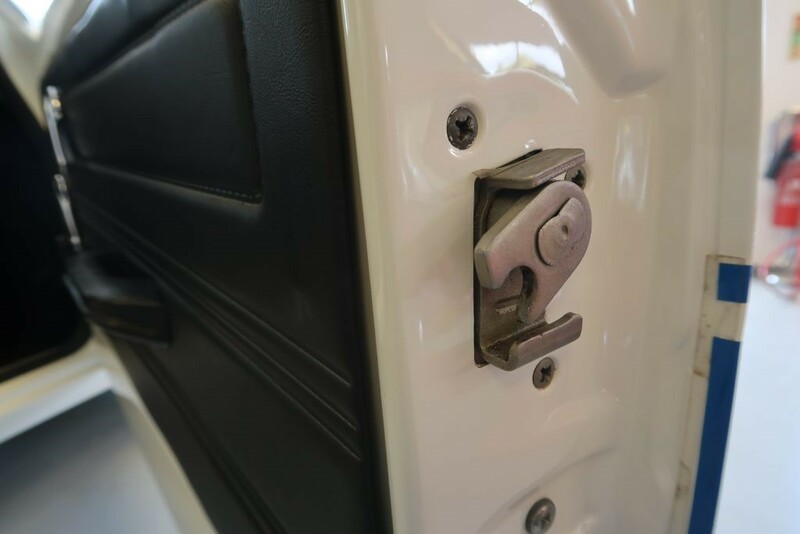 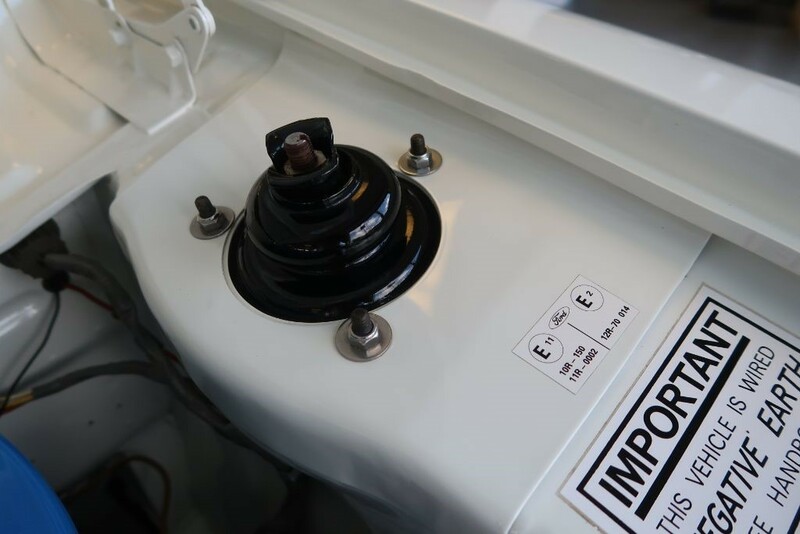 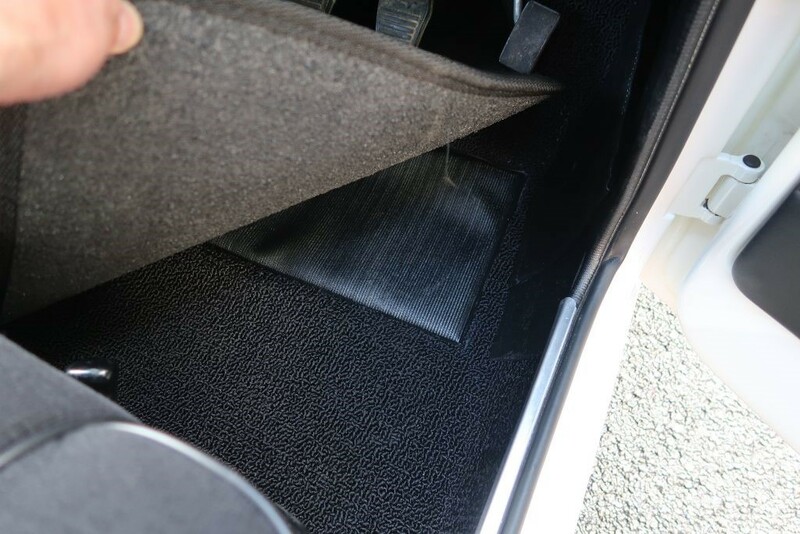 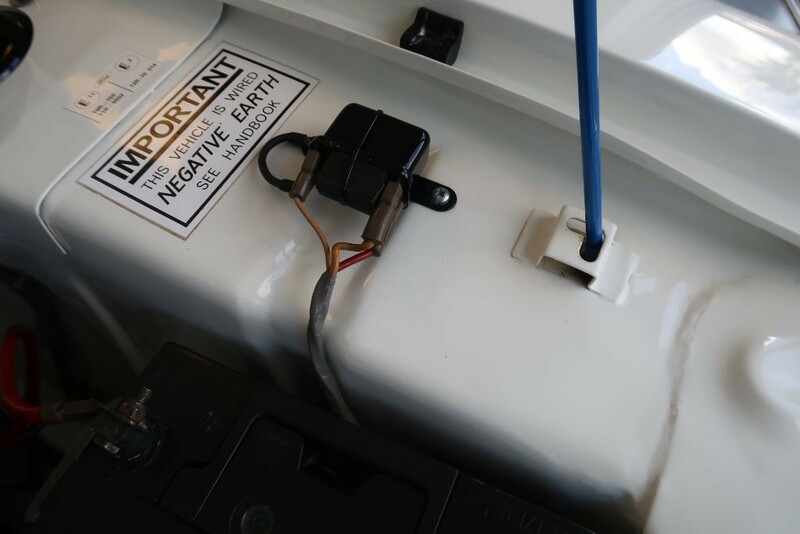 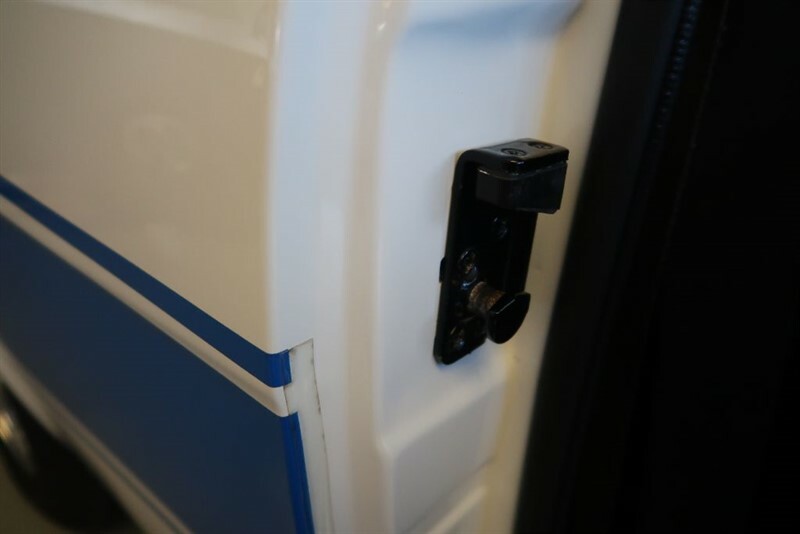 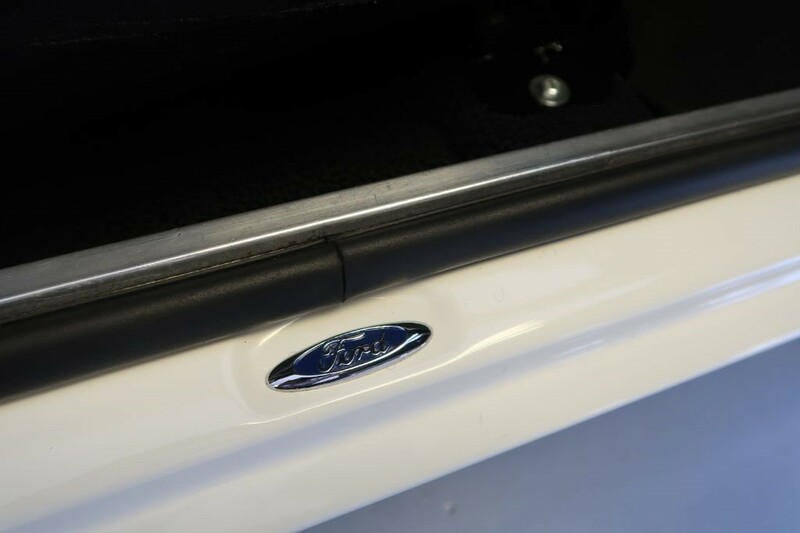 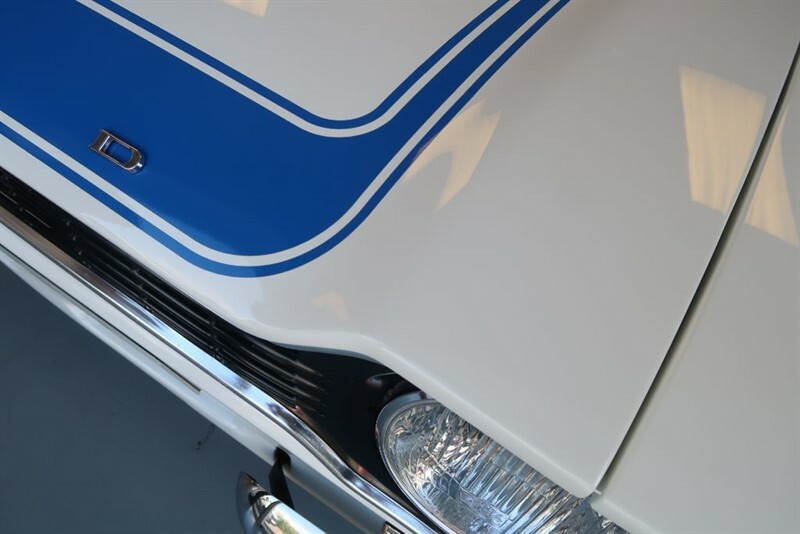 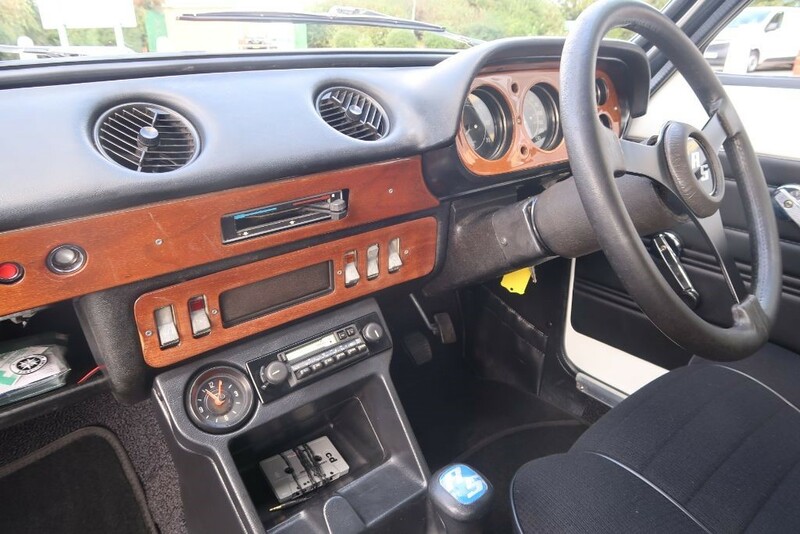 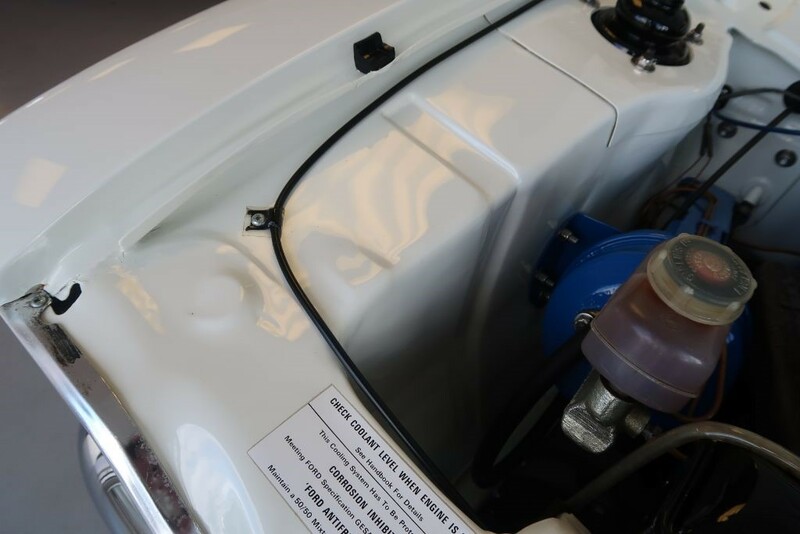 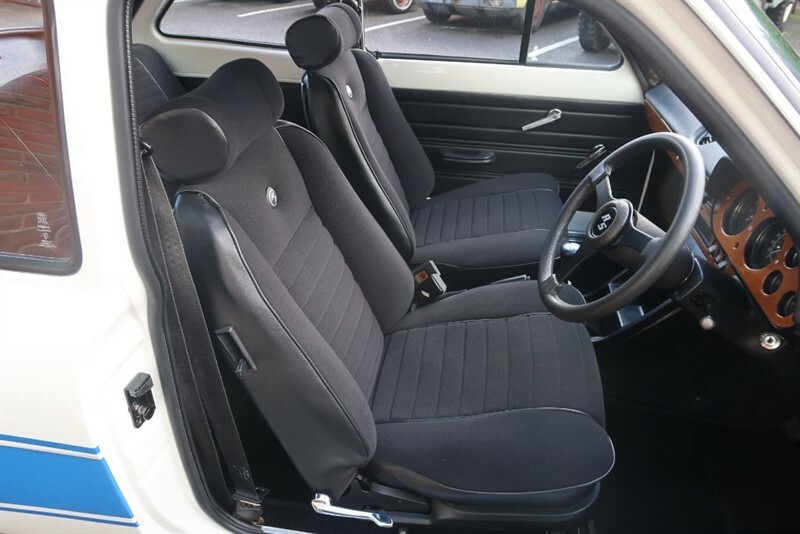 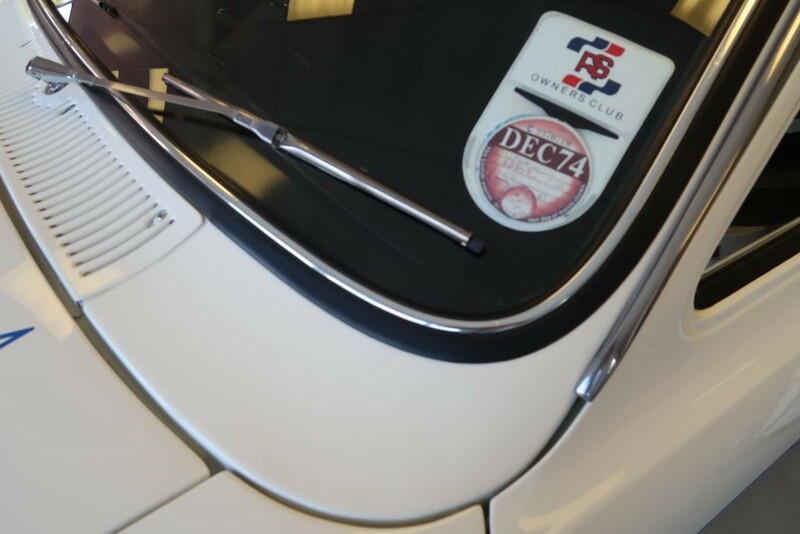 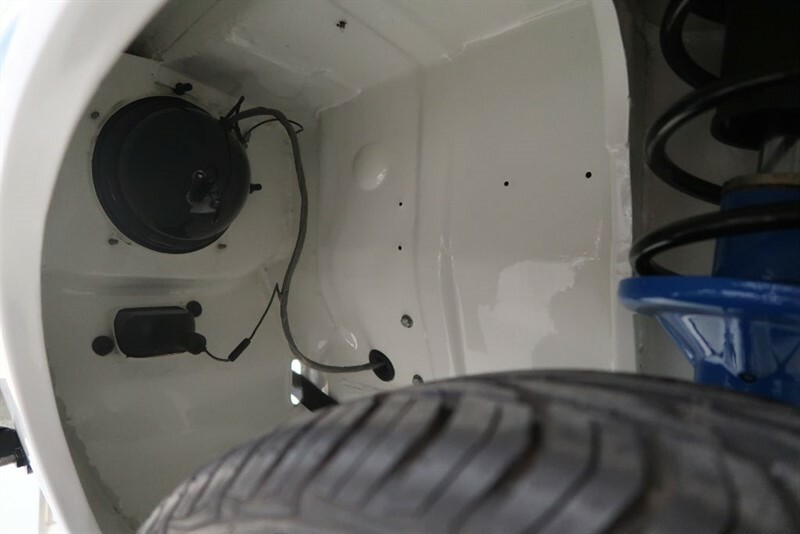 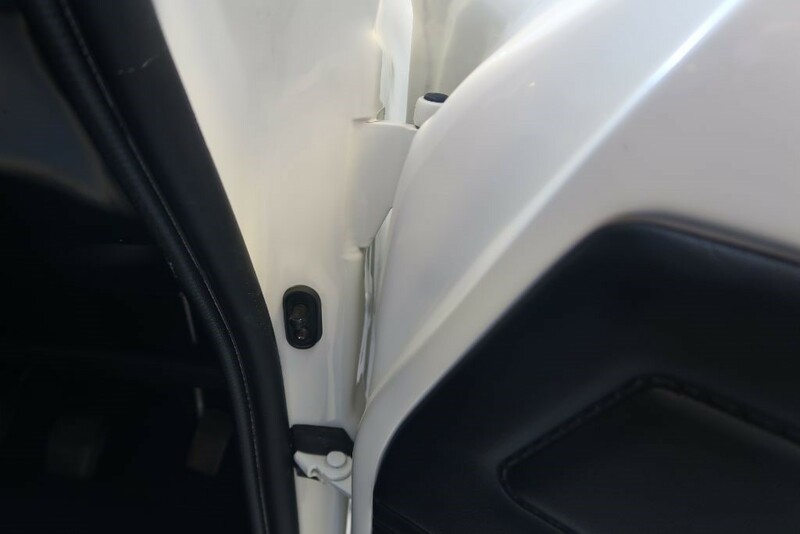 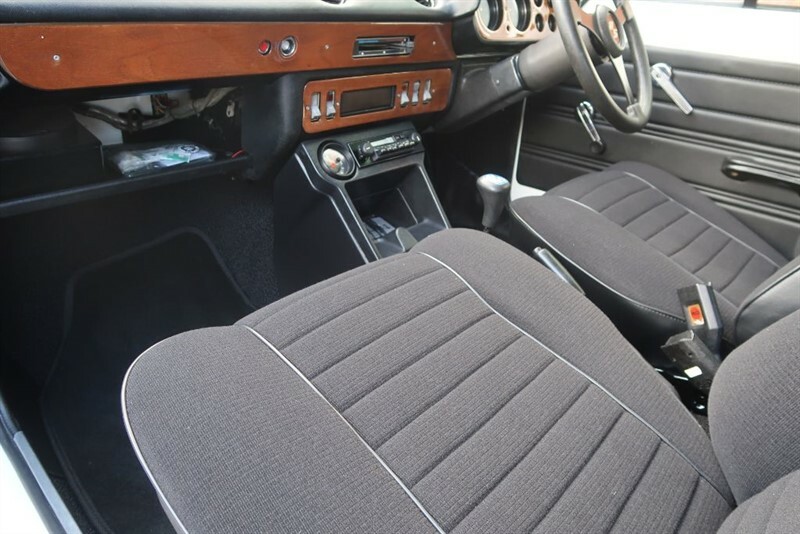 Originally finished in Diamond White the car was delivered with cigar lighter, temperature gauge, reversing lights, hazard warning lights, heated rear window, alternator and a pre engaged starter motor. 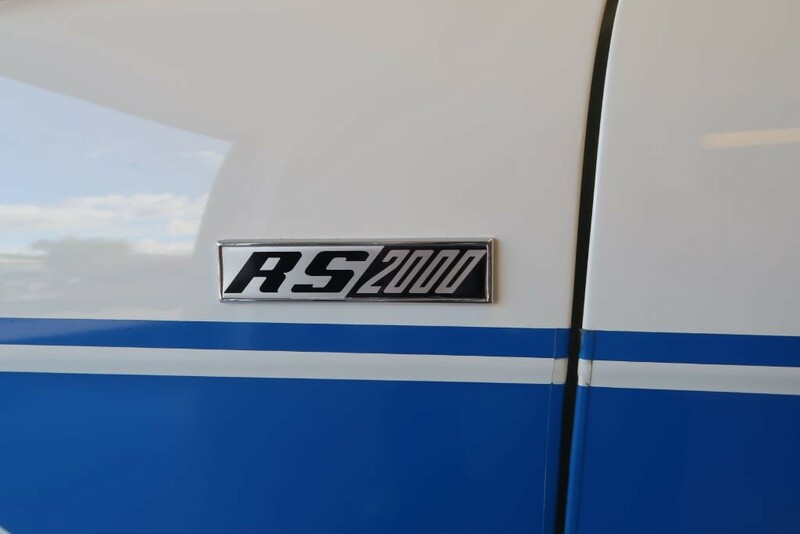 In 1999, the previous owner took delivery of a very tired RS 2000 and embarked on a mission to build himself the best RS 2000 possible. 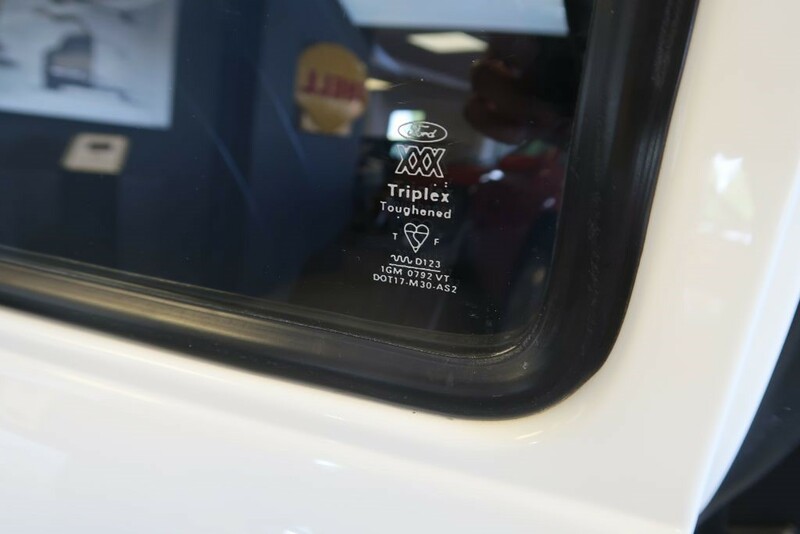 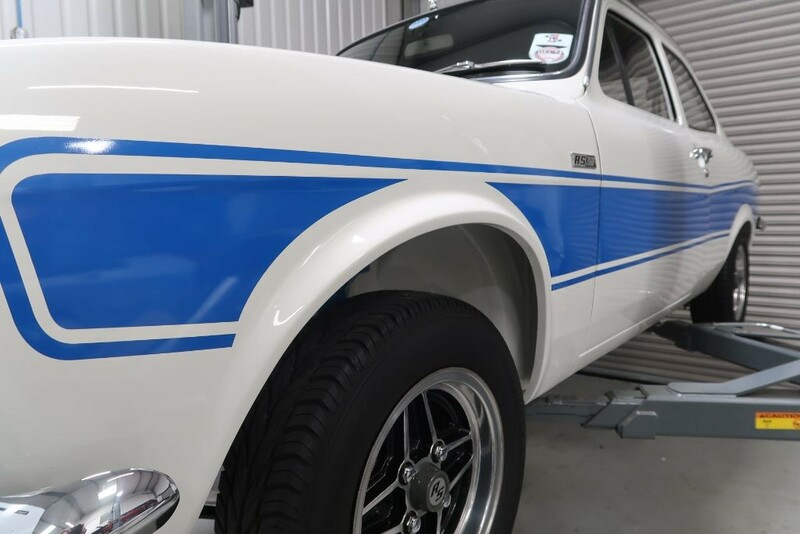 Thankfully, he was no stranger to high quality workmanship as he worked in the bodyshop of one of the most highly regarded Formula 1 teams in the world. 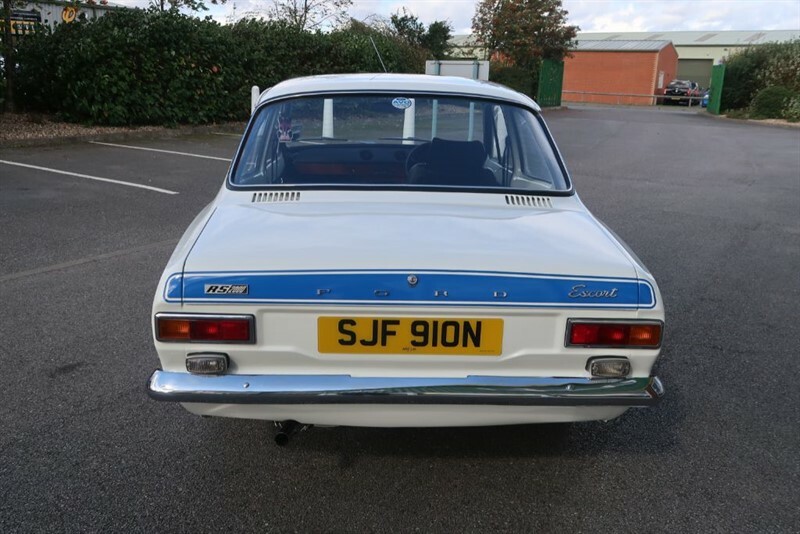 However this was no mean feat, like most Escorts 20 years ago the car had deteriorated into a very poor condition. 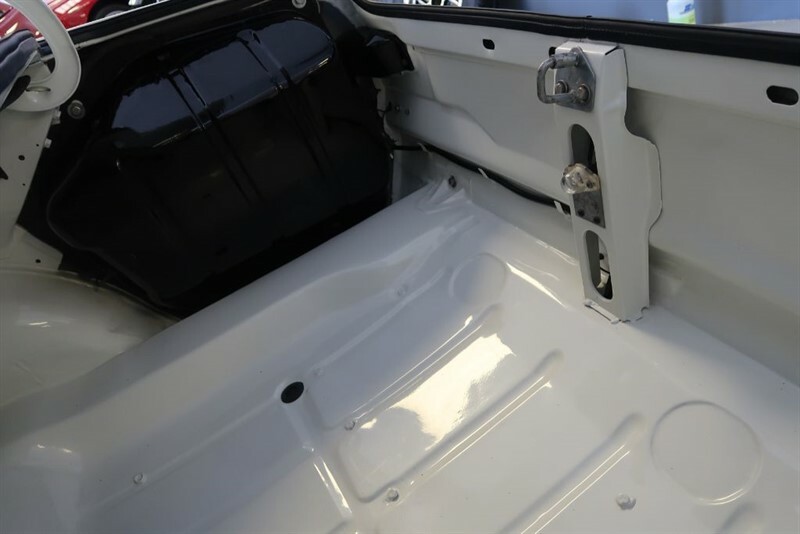 Firstly, the car was fully dismantled and it was decided to have the bodyshell and panels dry stripped by the plastic media process. 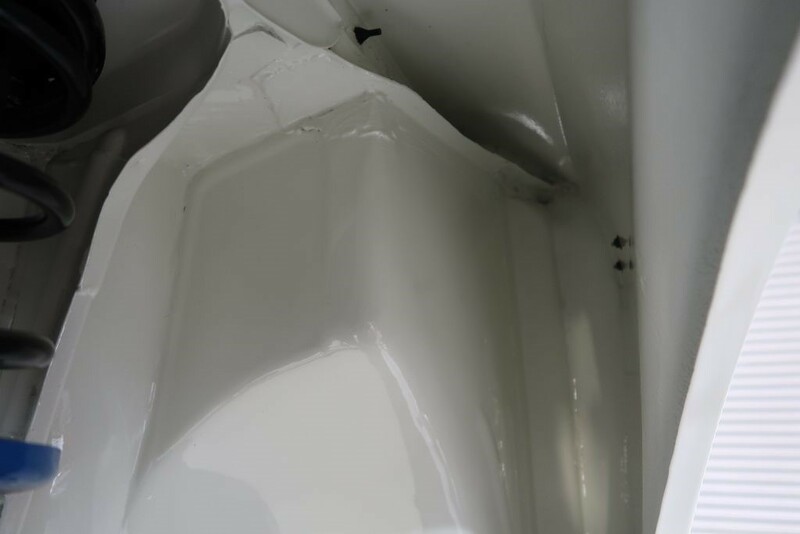 Corroded areas were then abrasive blasted and subsequently coated with a phosphate base anti rust coating. 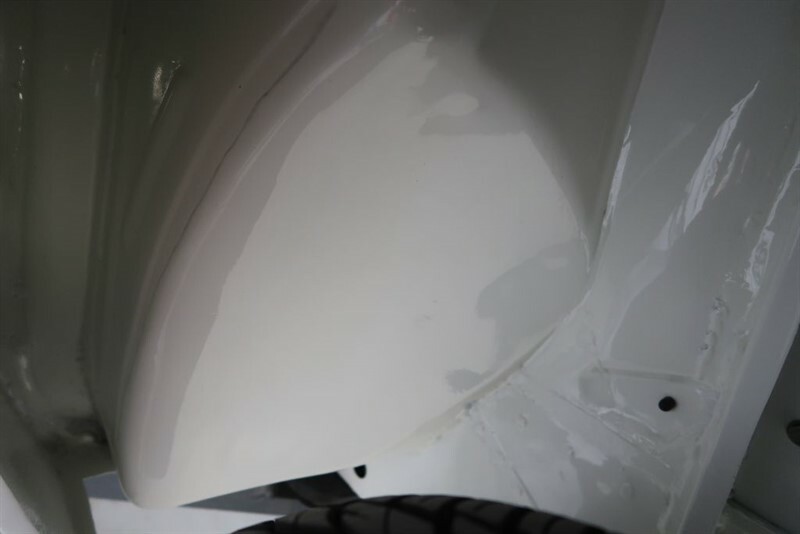 Then followed the lengthy process of repairing all areas of concern on the bodyshell, a photographic record of this time intensive process is with the car clearly showing the quality of workmanship - as much care was taken to the underside of the car as the outside with the same glass quality paintwork. 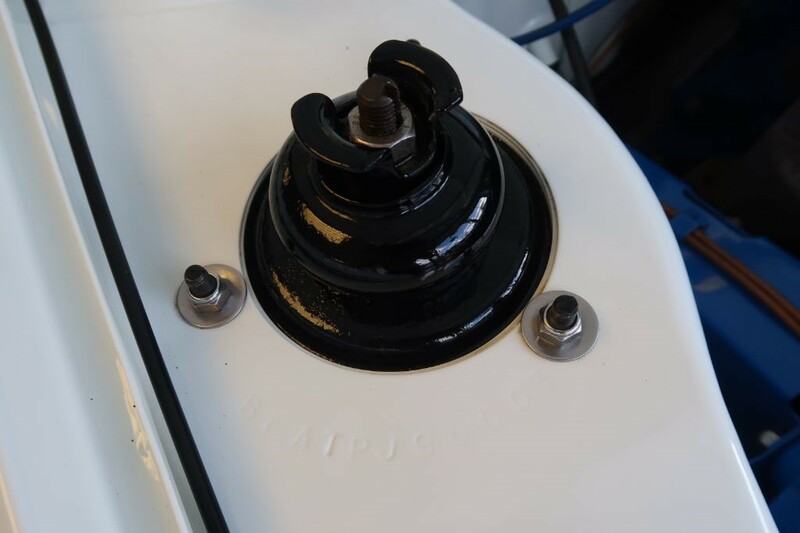 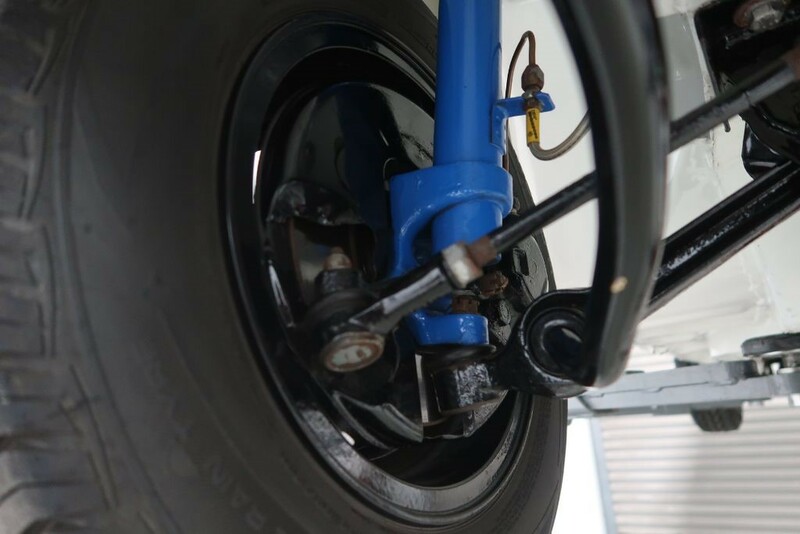 All of the suspension parts, brakes and drivetrain were either renewed or prepared to an ‘as new’ condition prior to refit to the car. 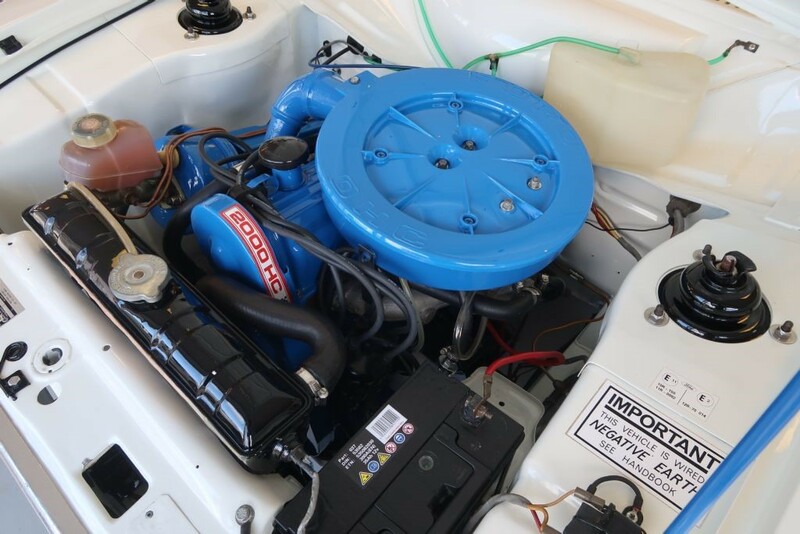 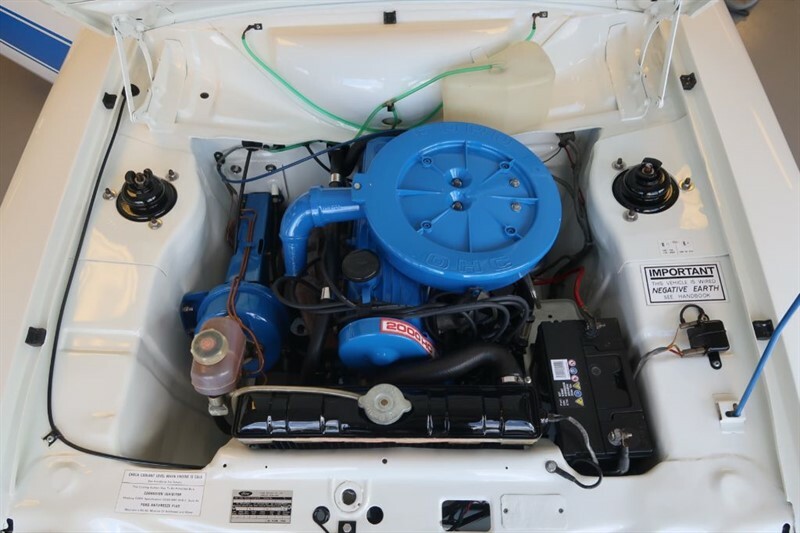 The 2.0ltr Pinto engine was also stripped and rebuilt before being detailed and refitted. 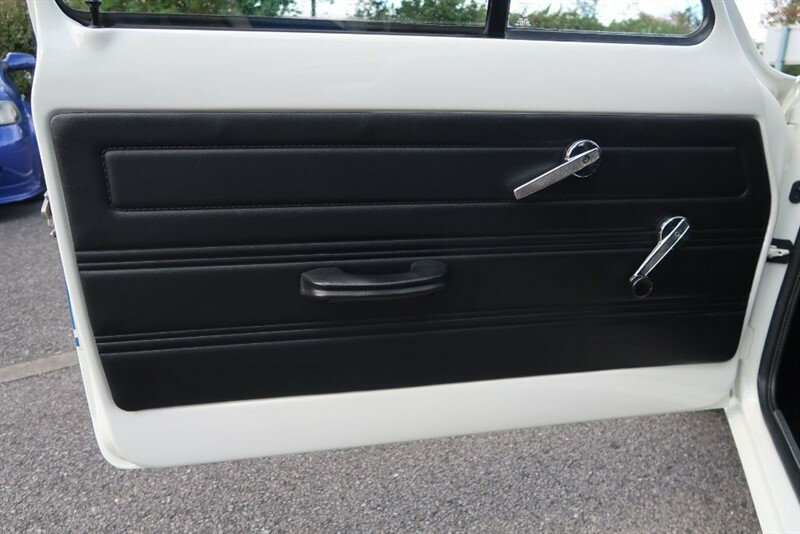 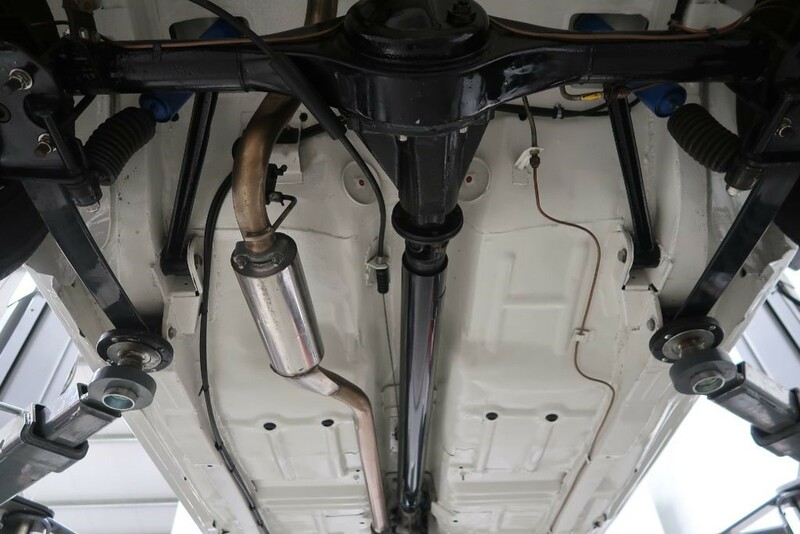 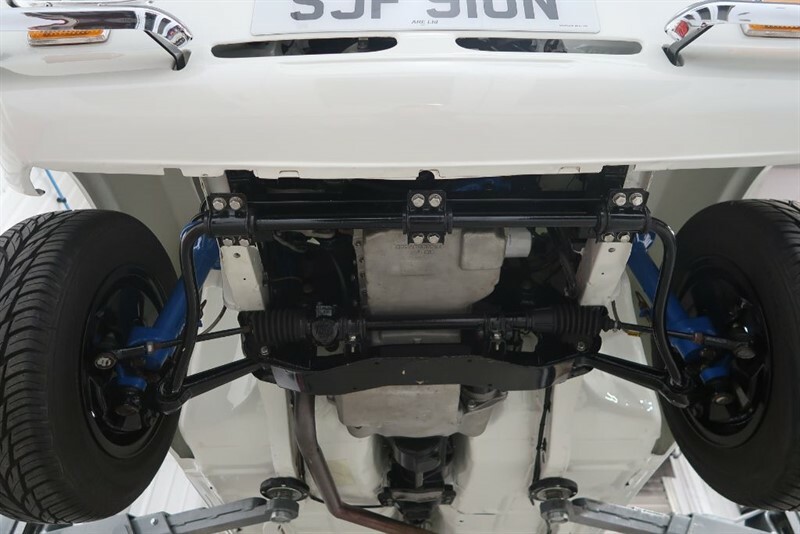 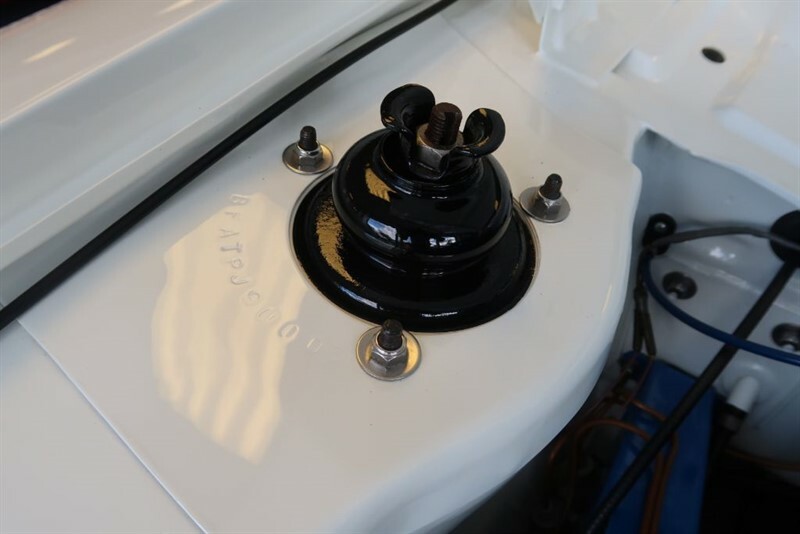 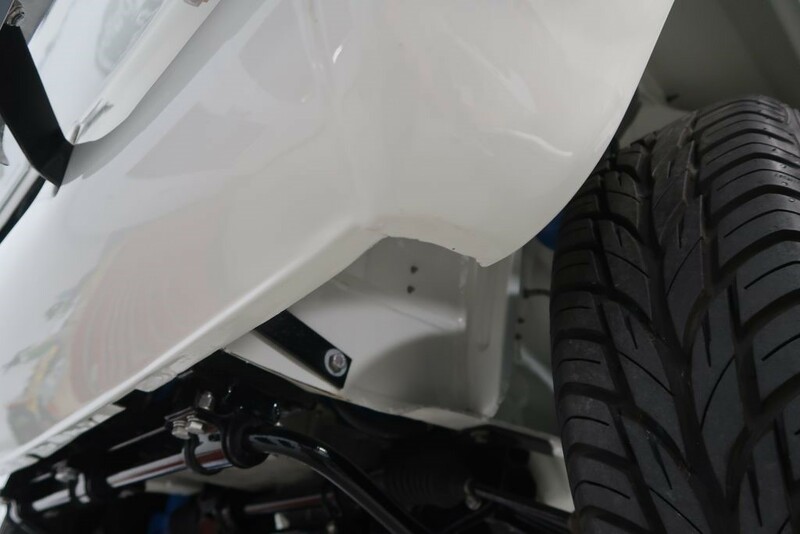 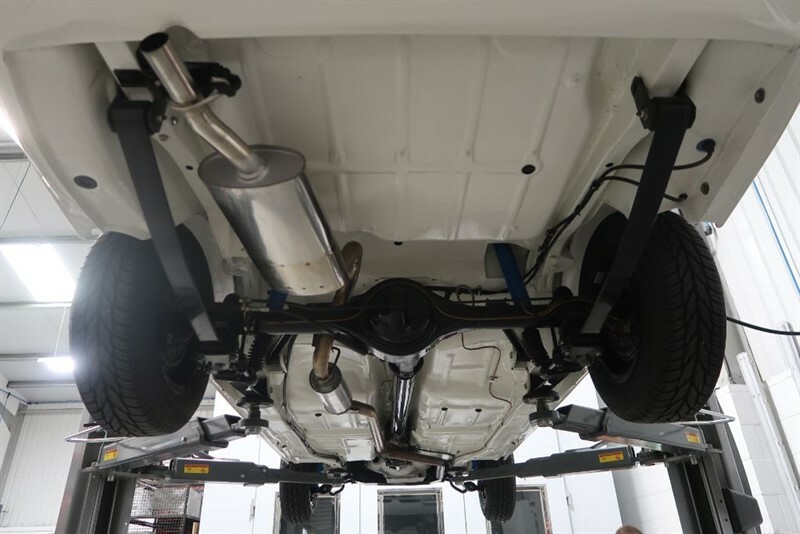 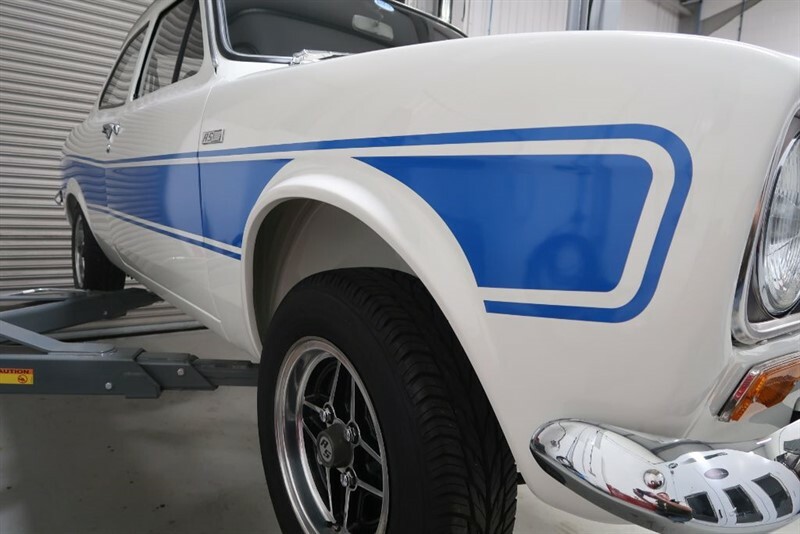 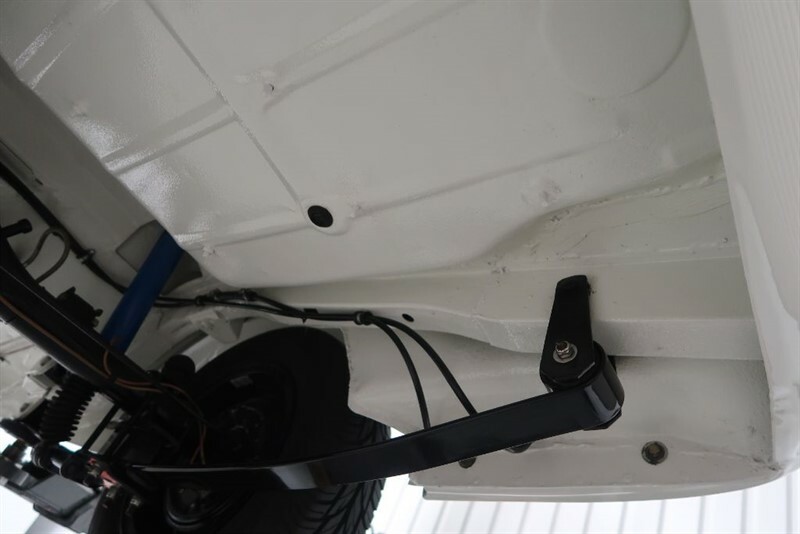 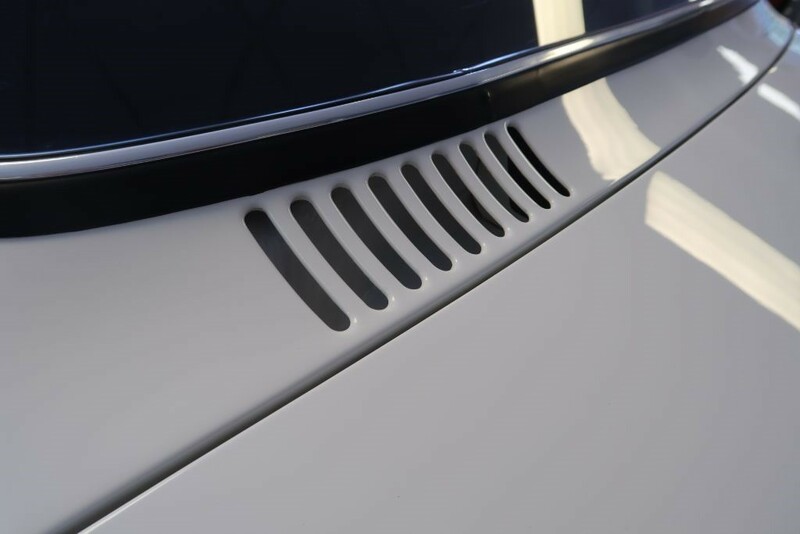 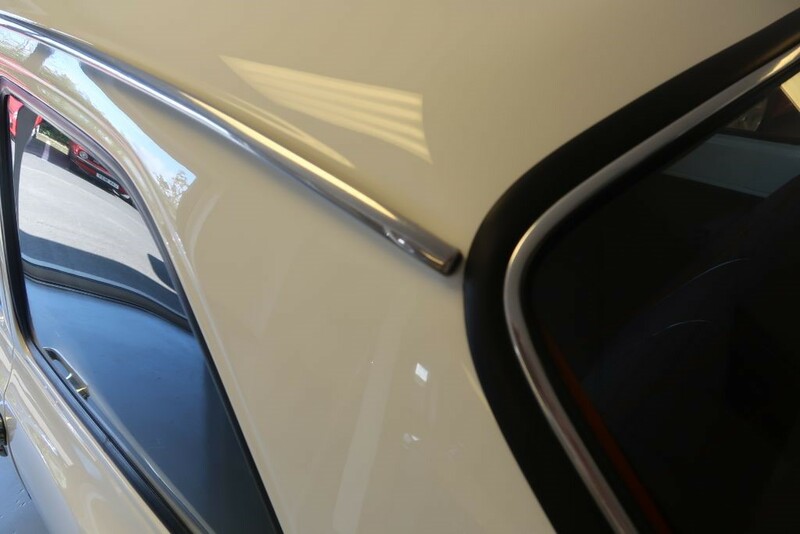 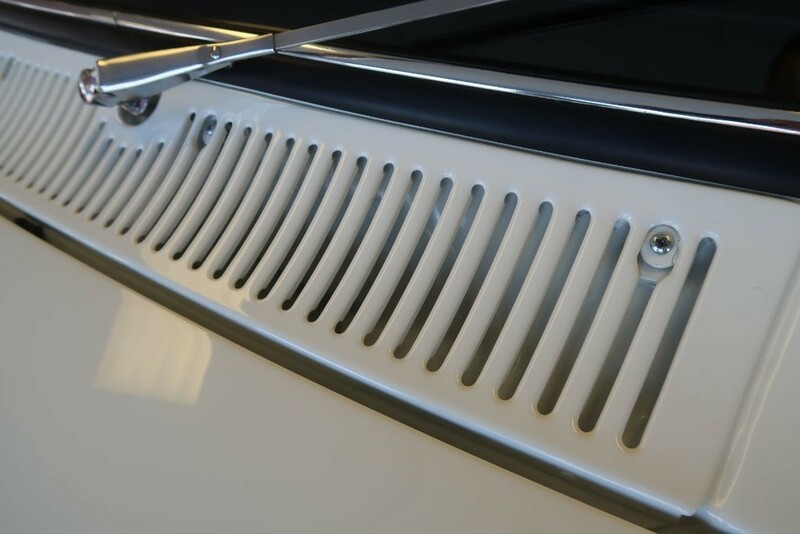 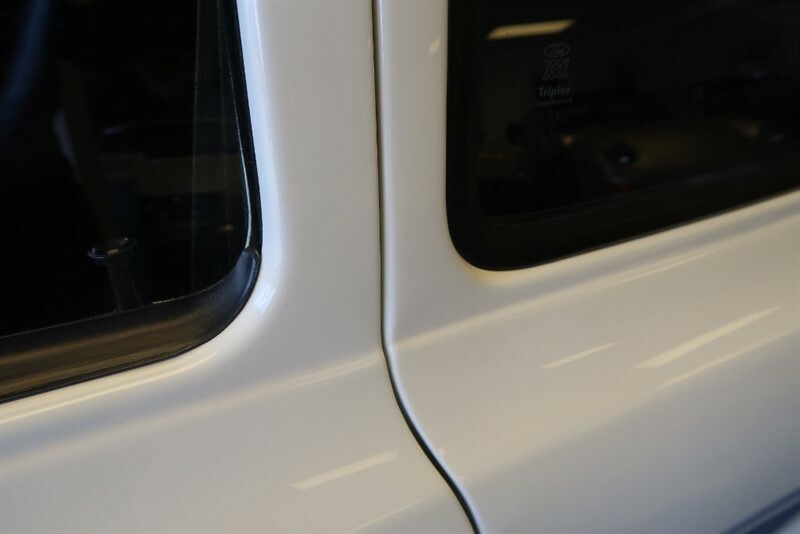 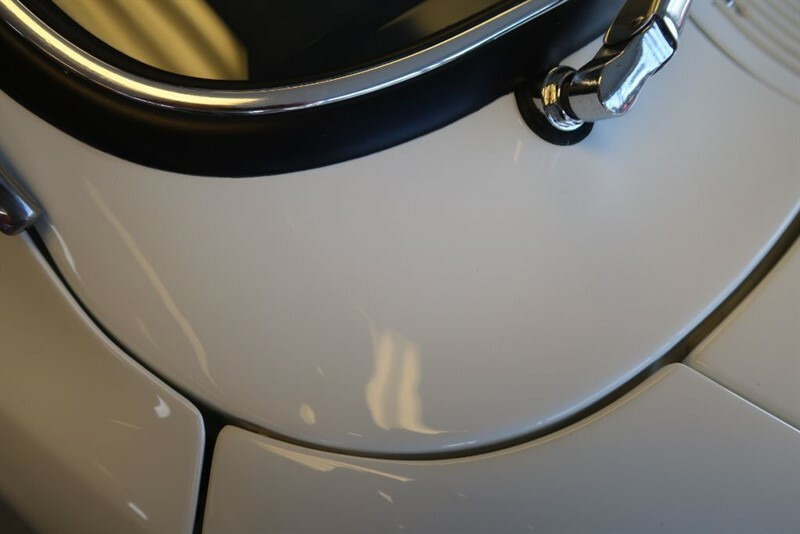 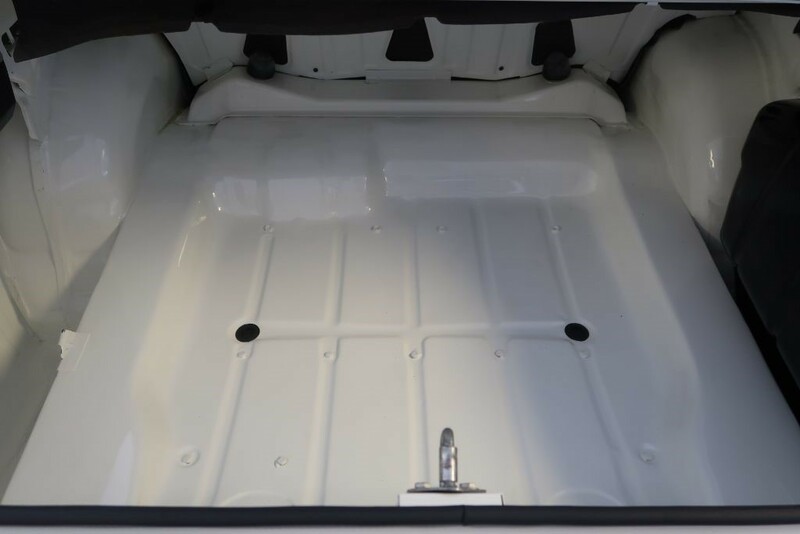 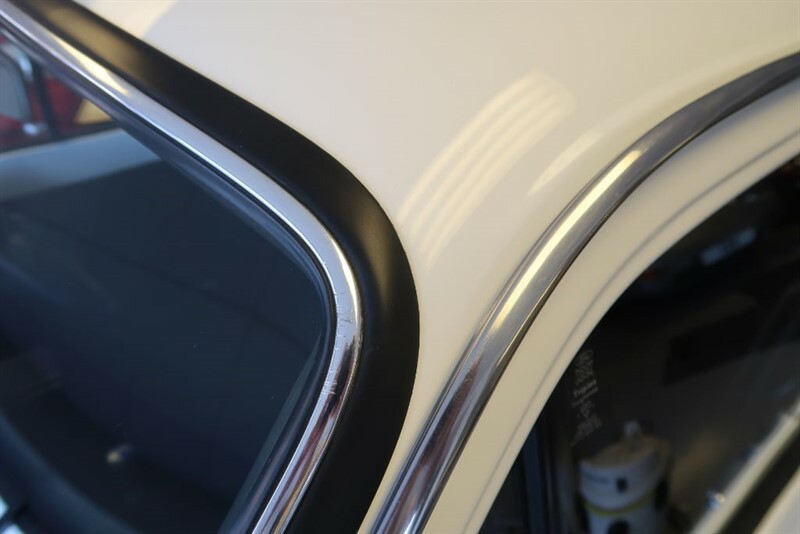 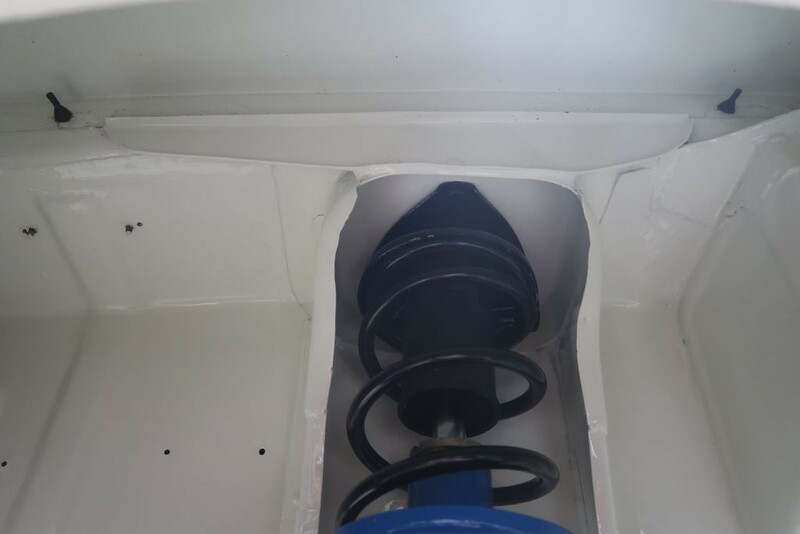 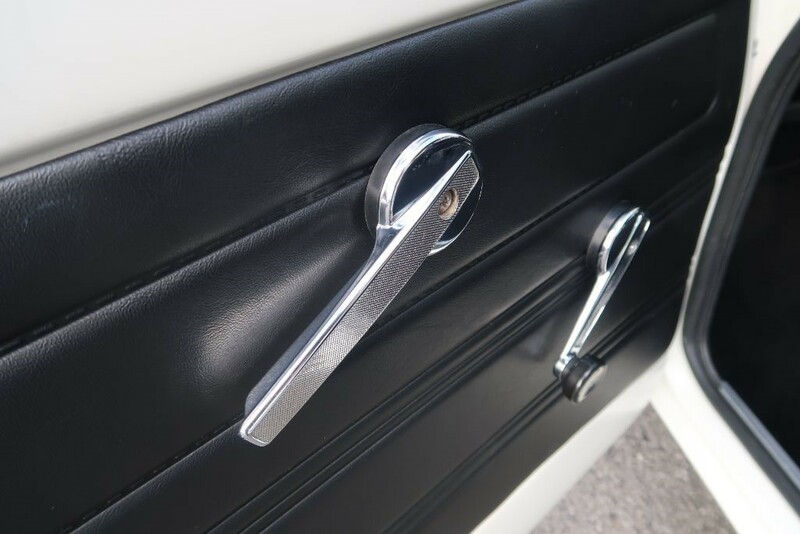 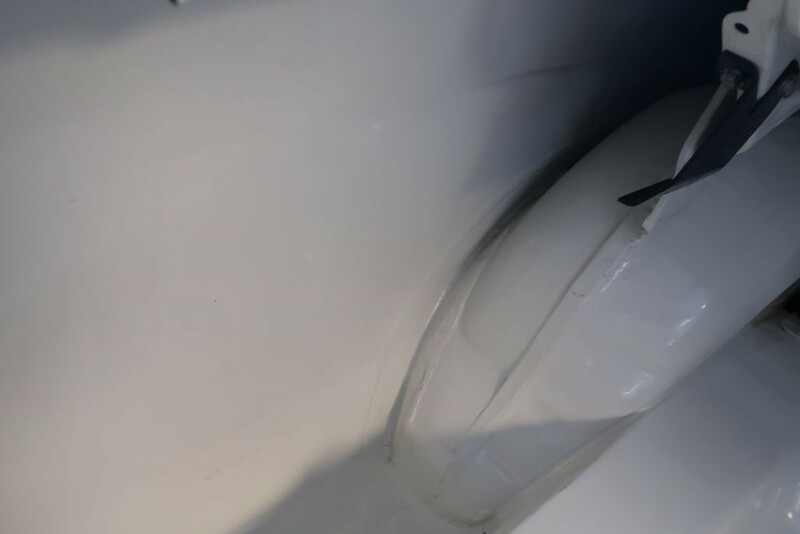 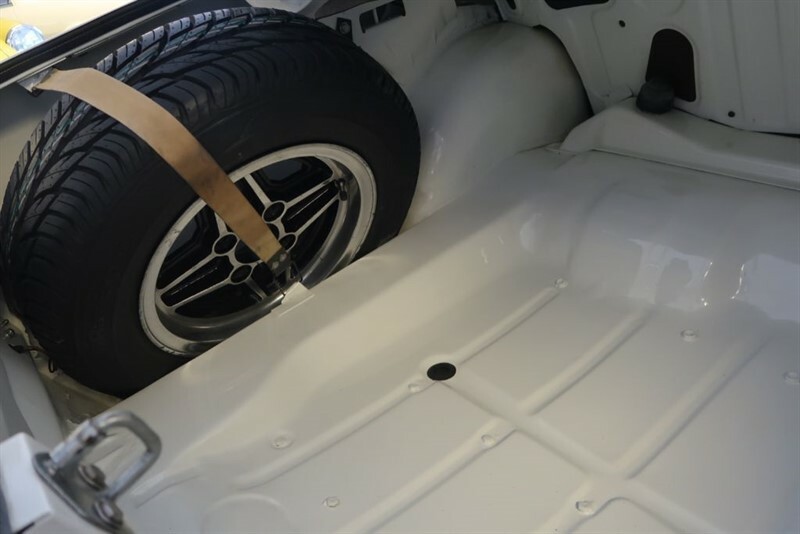 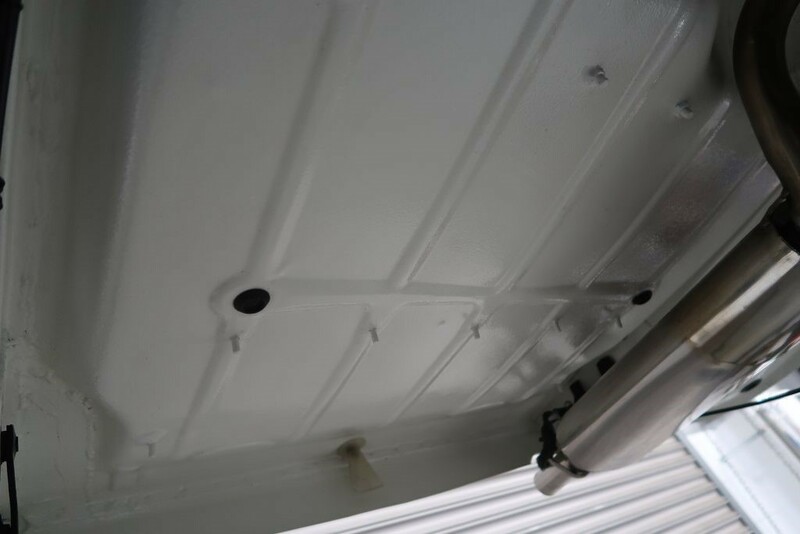 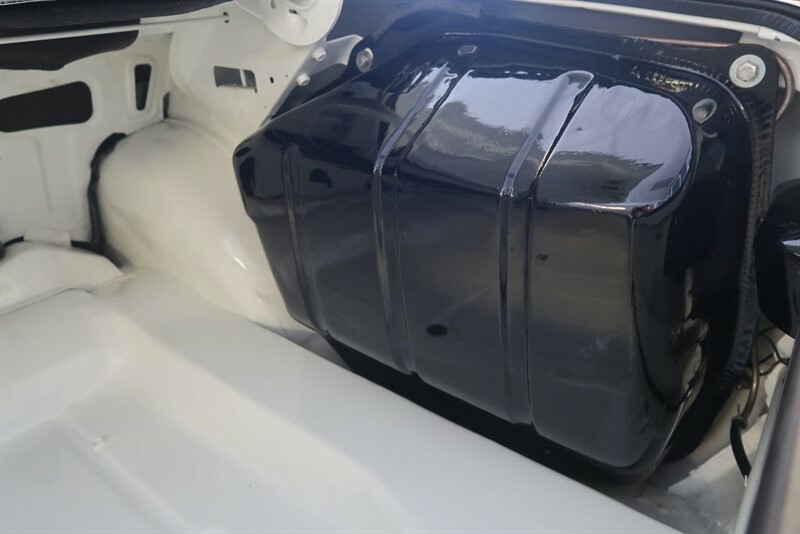 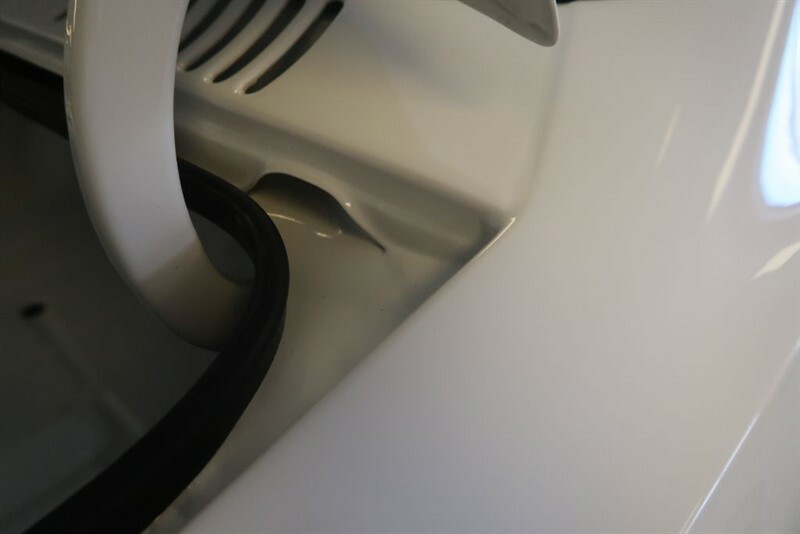 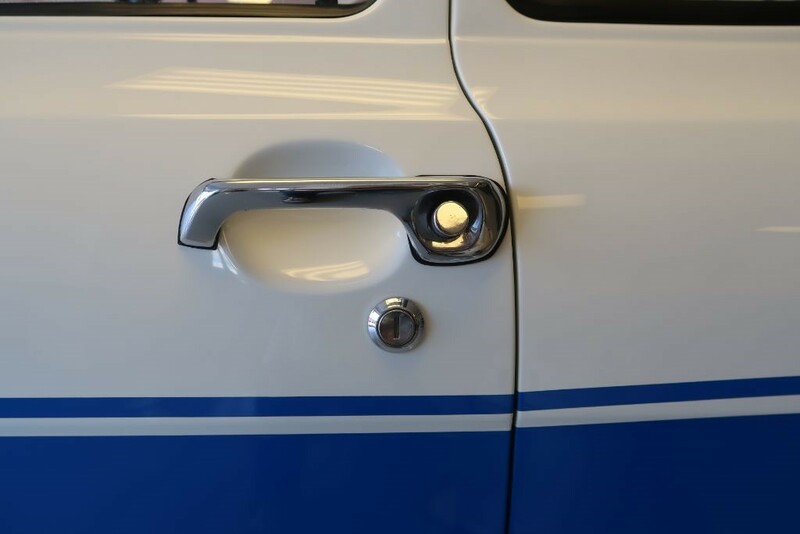 Fast forward to 2006, the final coat of Diamond White had been applied and the car was rebuilt to the obvious joy of the owner, he must have been very proud of his achievement. 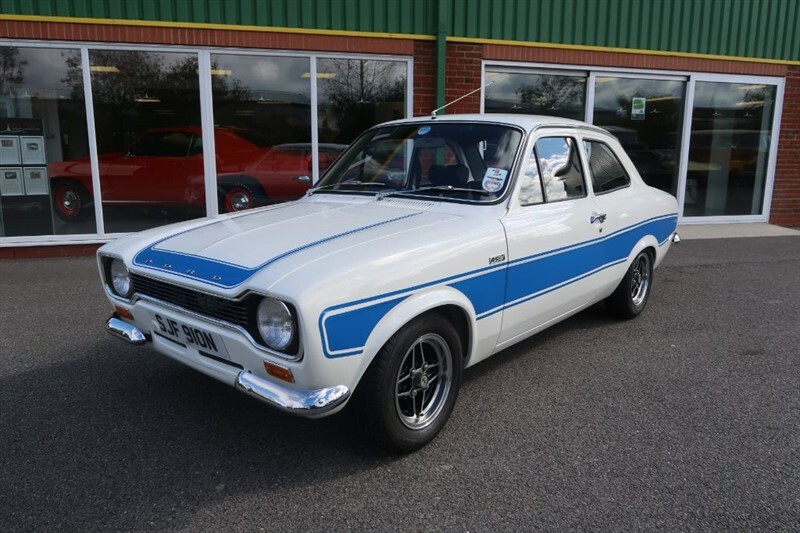 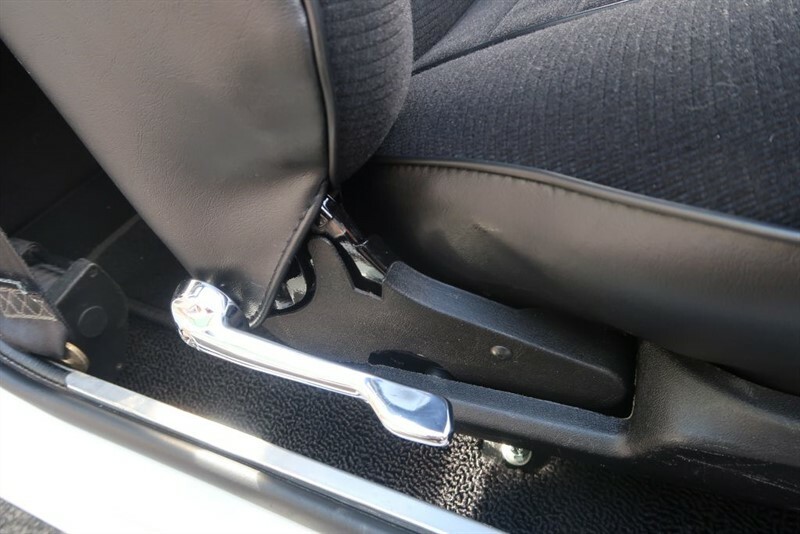 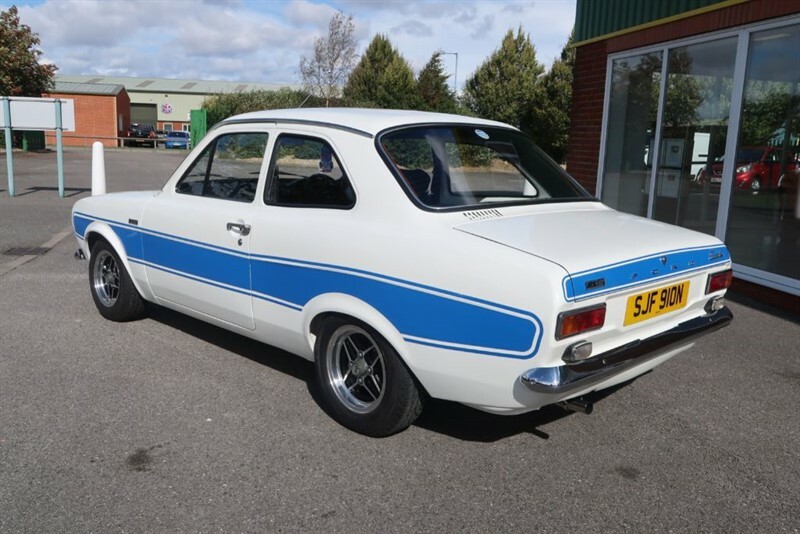 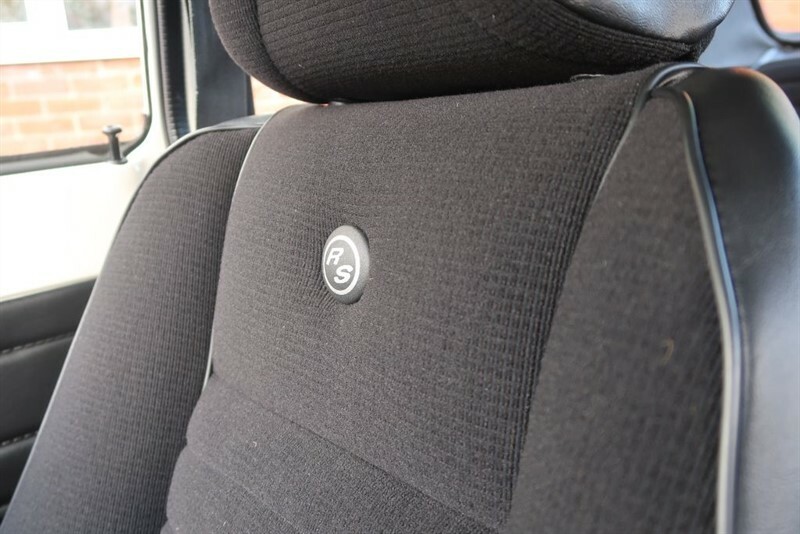 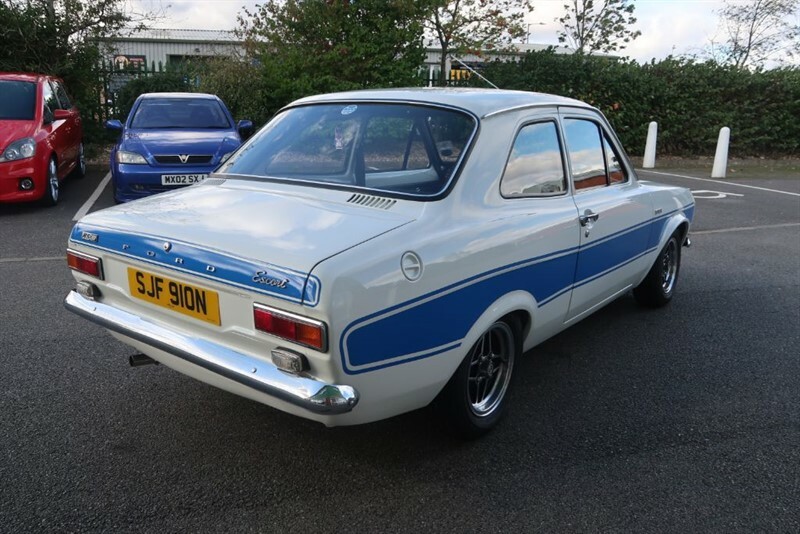 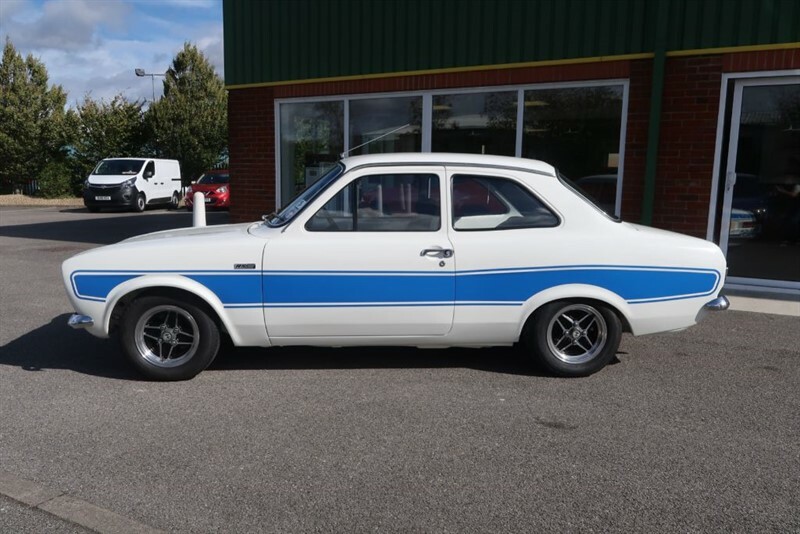 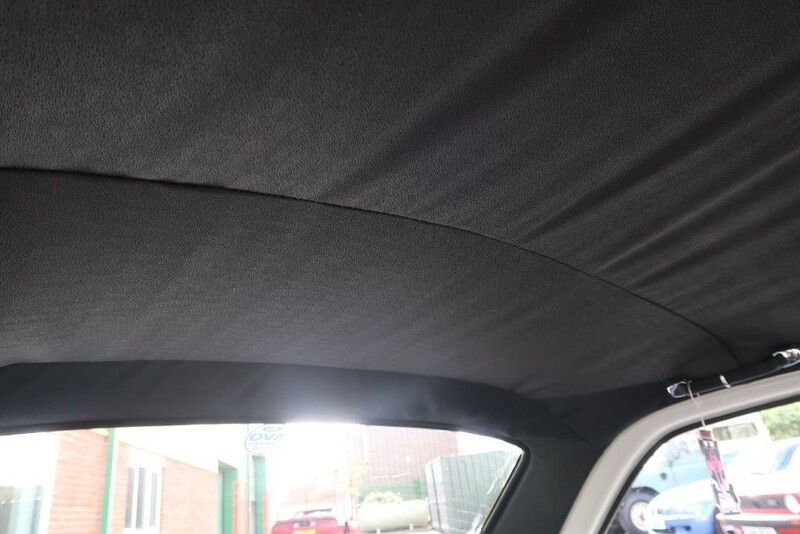 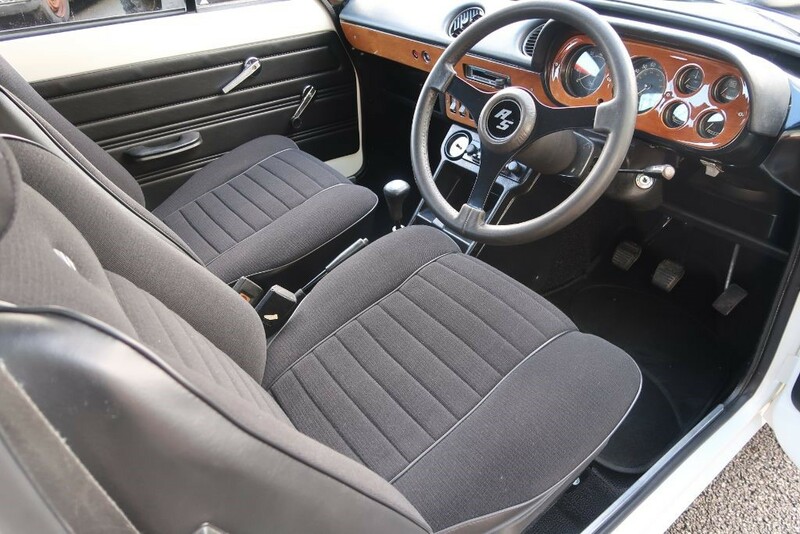 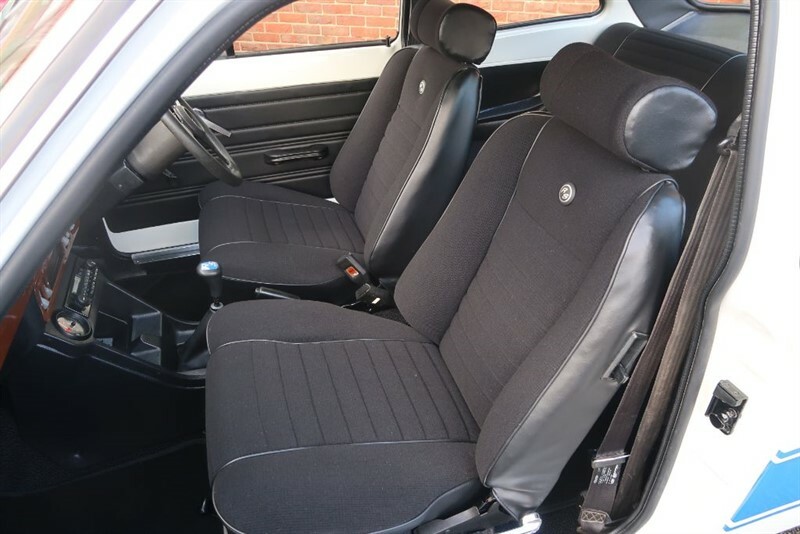 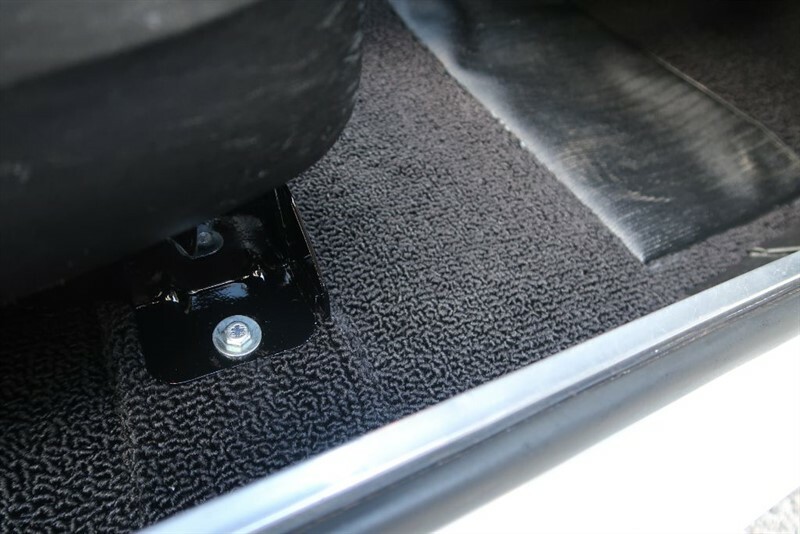 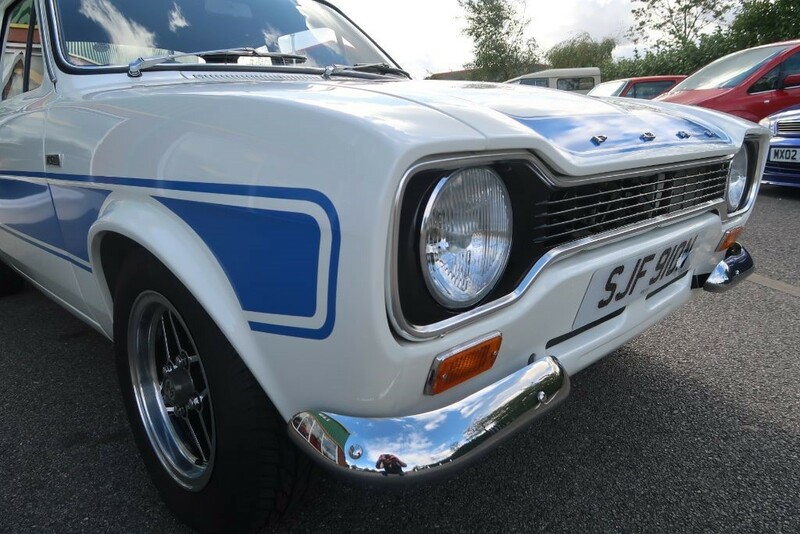 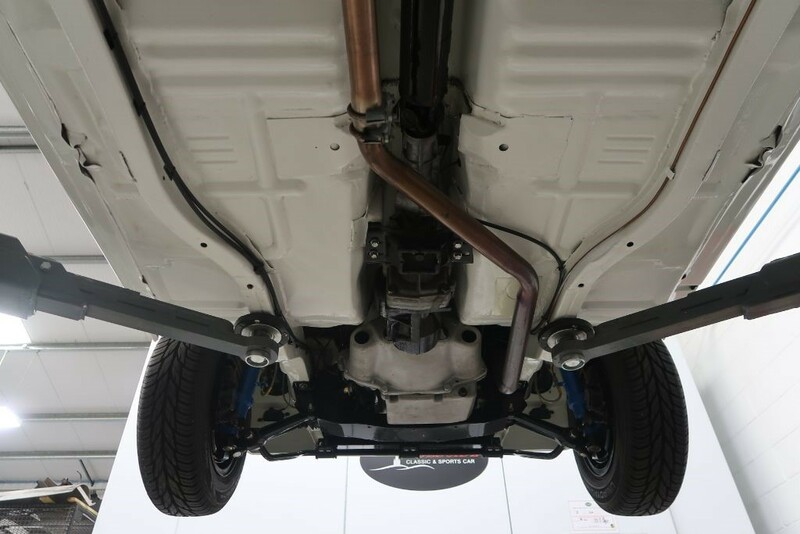 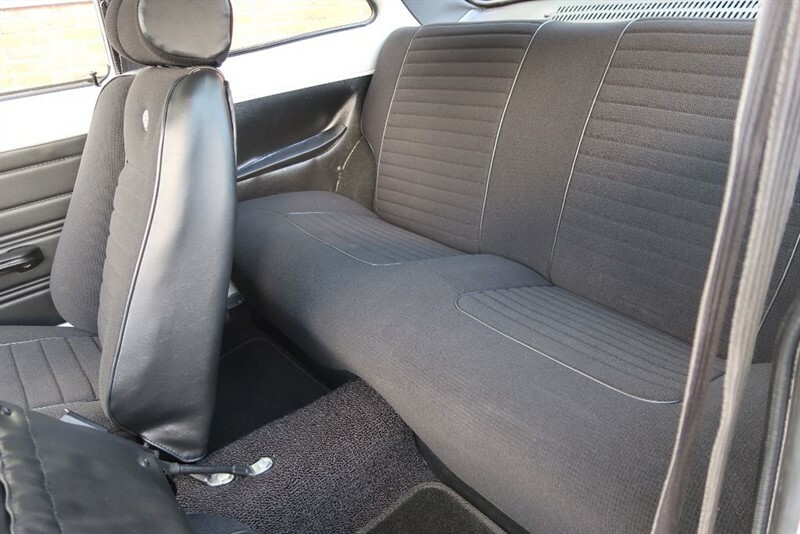 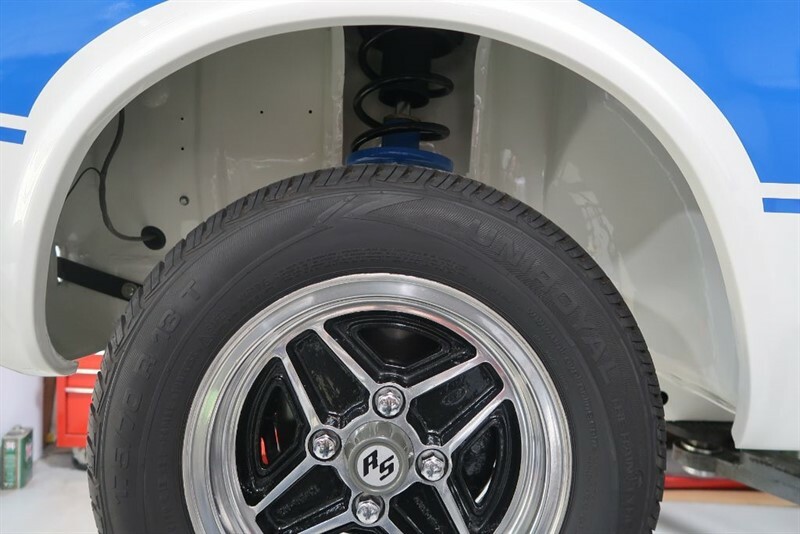 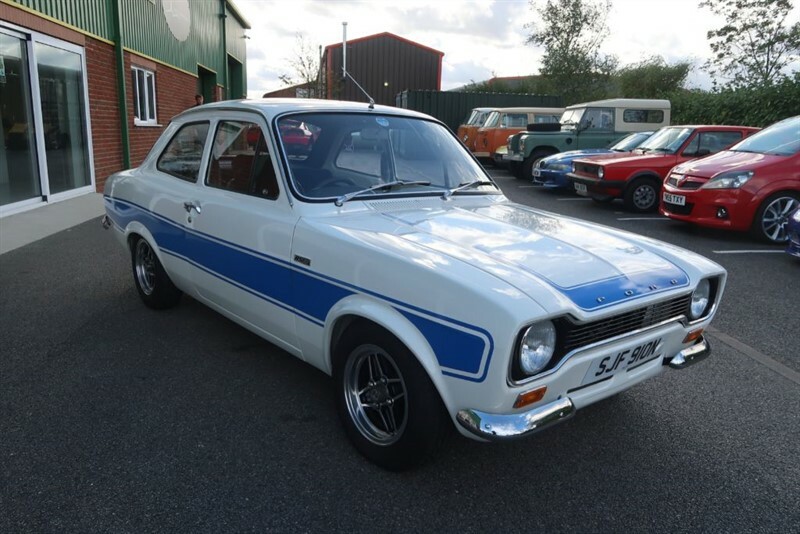 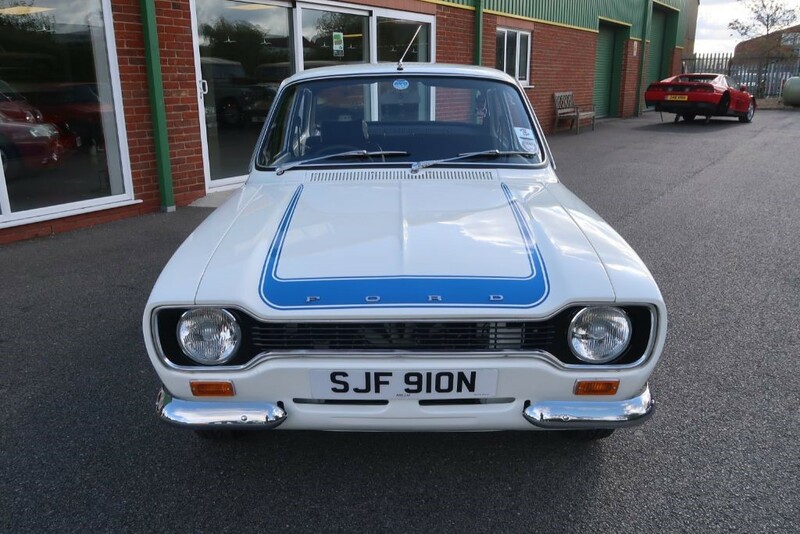 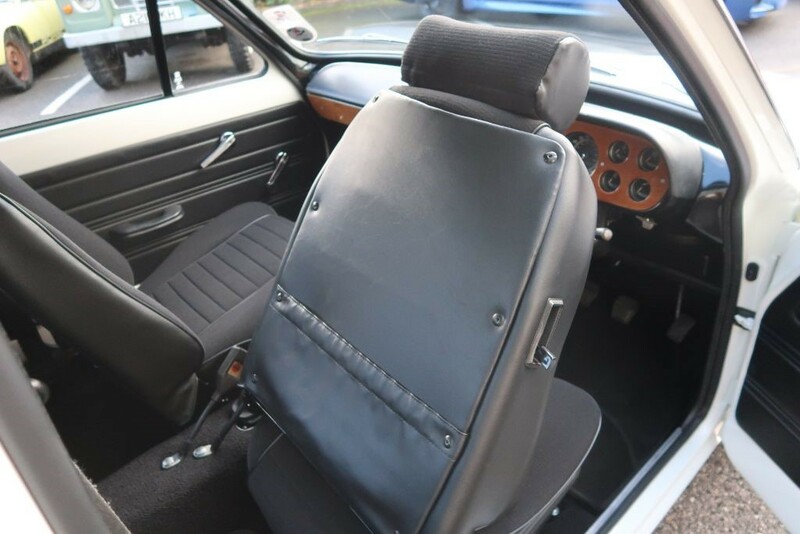 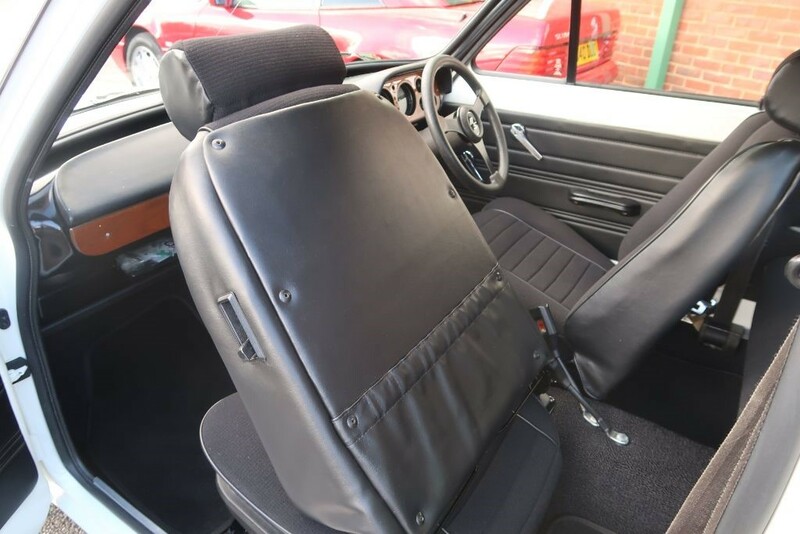 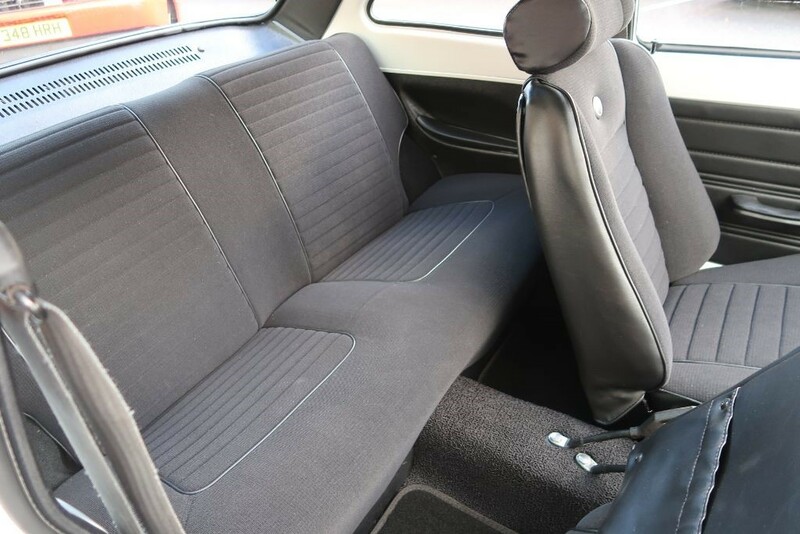 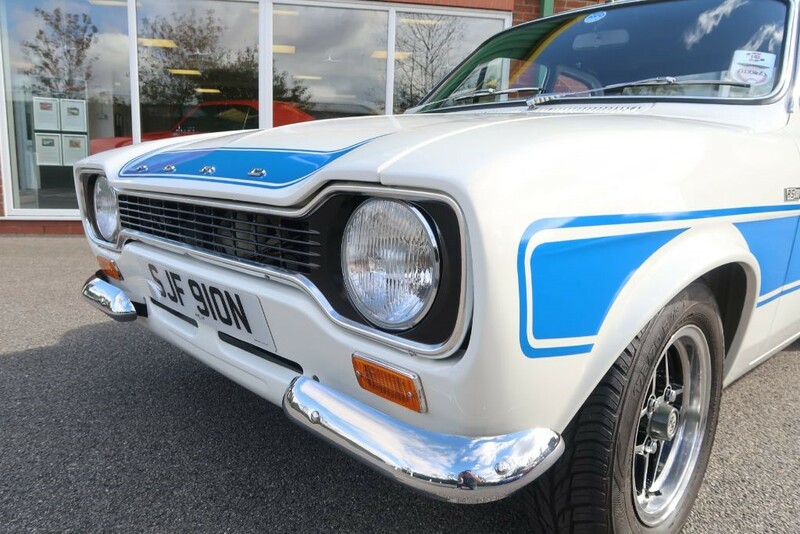 Since then, the owner, a member of the Ford AVO Club, has enjoyed the car in the summer months and taken it to shows, only 1,500 miles have been covered since the rebuild. 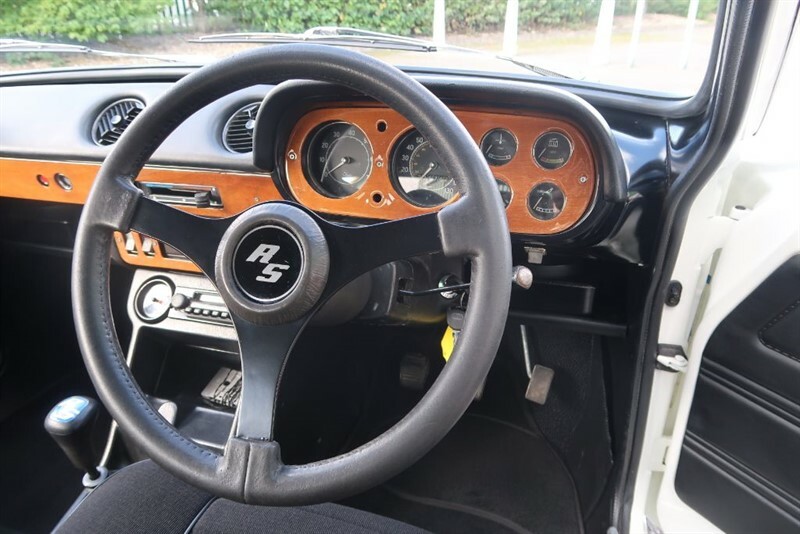 The condition today is close to the condition when the restoration was completed in 2006 with the only further improvement being a re trim as the previous owner preferred to retain the original interior. 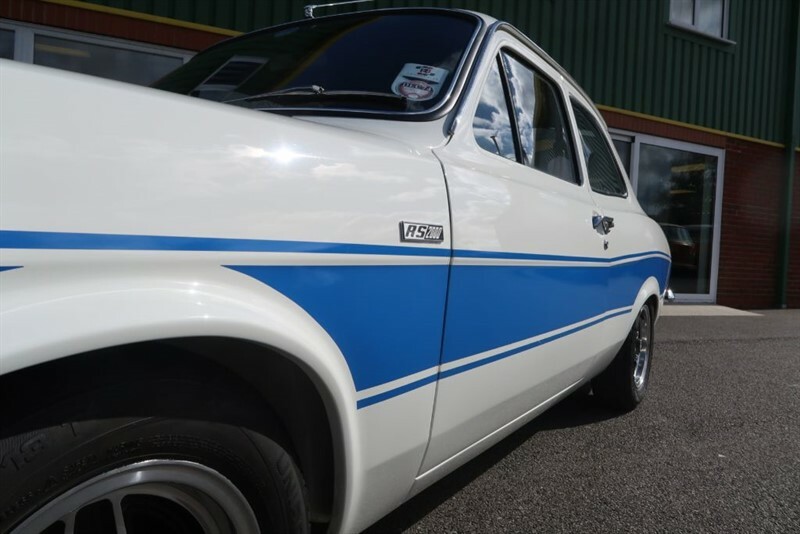 Please visit our website and view the numerous photos and videos showing the condition of this wonderful car and if of interest make contact by email or telephone. 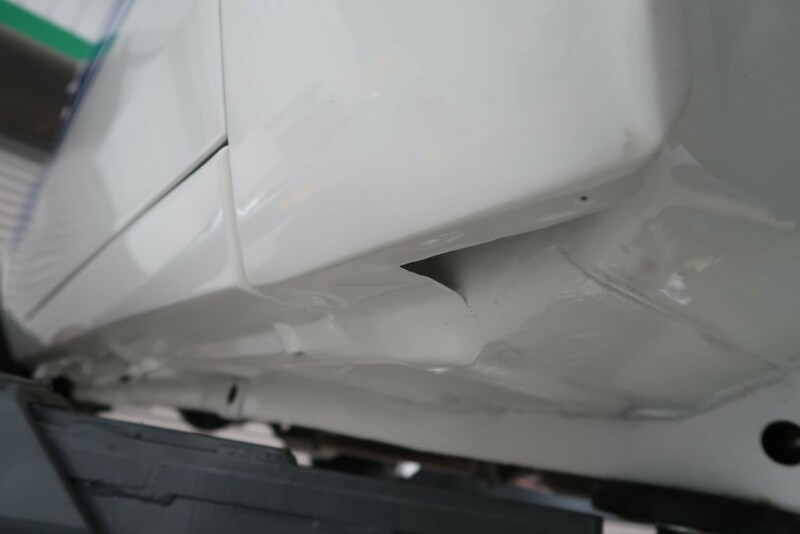 As with all our cars, any inspection is welcomed.